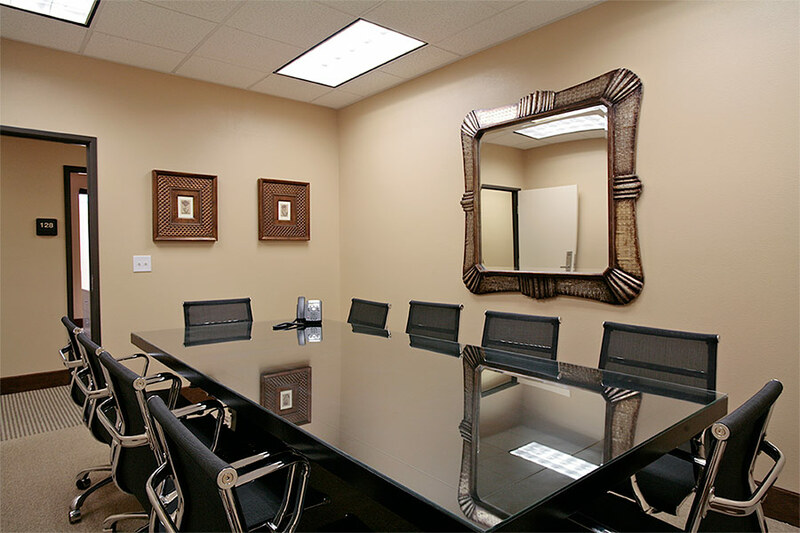 Our two conference rooms can accommodate seating for up to eight people in each room. Each meeting room is equipped with a white board with markers, internet connection and free Wi-Fi. You may also gain access to our copy room to make copies, scans, and faxes. Coffee and water are also provided for you and your guests inside our kitchen area. 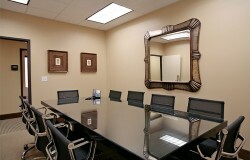 Call today reserve your conference room rental today. Our day office is a fully furnished office that is equipped with a telephone, computer with internet access, and free Wi-Fi. It provides enough seating for up to five people. You will also have access to our copy room to make copies, scans, and faxes. You will also have the ability to print from the in-suite computer. Coffee and water are also provided for you and your guests inside our kitchen. 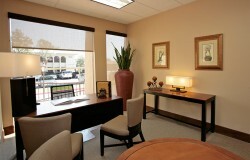 A multimedia projector, conference telephone, and water service may also be provided upon request & availability.